Download and extract the mod to your Fallout 76 Data folder, e.g. <Program Files>\Bethesda.net Launcher\games\Fallout76\Data. 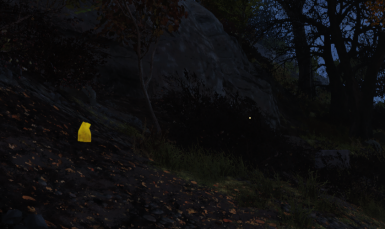 Add BagGlow.ba2 to your archive load list in Fallout76Custom.ini. directory and run the baka file tool. The main BagGlow.ba2 is not needed for Baka File Tool users. Save your file and you're good to go. Entries are separated by a comma. Whenever you want to add an archive to your load list, simply append the archive name to the end of this list. To stop loading the archive, remove it from the list.